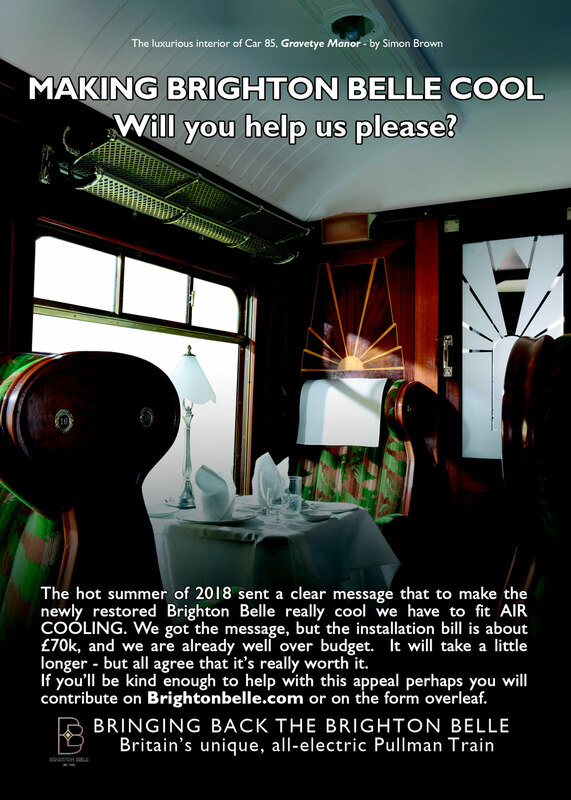 Please help us by making a donation to MAKING BRIGHTON BELLE COOL. 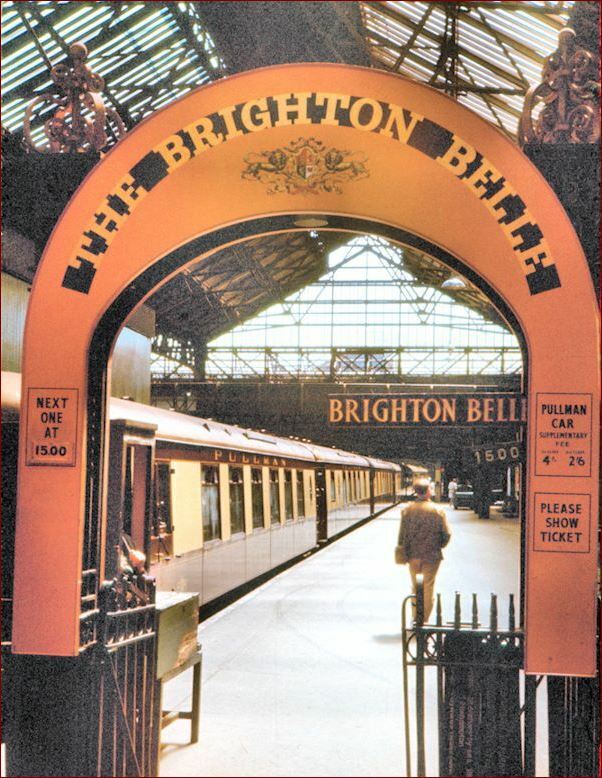 If you want to become a Friend of the Brighton Belle you can make regular financial contributions. These have been split into monthly amounts, made by direct debit over 60 months. This makes support to Brighton Belle affordable. You could offer us a lump sum of any value, and we shall be extremely grateful.. See methods under. If you wish to subscribe regular contributions to restoring the train, phone 01799 522 to make arrangements, or e-mail your contact details to us via the Contact form and we’ll get back to you. To make a lump sum donation click here to use our secure server. If you donate via the Charities Aid Foundation, you can donate here, by entering our registered charity number 1133545 or by putting Brighton Belle into the search box. If you want to make a simpler donation, click here for our secure server. You can of course avoid all complication and write out a cheque to The 5 BEL Trust, and send it to: The 5 BEL Trust, Old Hall, Strethall, Saffron Walden, CB11 4XJ. Don’t forget to include your contact details – you may wish to come and see the train, and you might want to travel on it! Contribution: £25 per month by direct debit for 60 months. Contribution: £50 per month by direct debit for 60 months. Contribution: £100 per month by direct debit for 60 months. After all our experiences this summer it seemed to us obvious that we need cooling for the train. Fortunately the solution suggested from within the luxury yacht fraternity was that we fit the simple but effective air cooling. Windows are ample on Brighton Belle, with generous sliding ventilators at the top. Yet when the guests go off to visit their castle, mediaeval city or glorious sandy strand, the train waits for them – and if that’s in the summer sun, then some air cooling is badly needed. Thus we have decided we must fit this in each car to keep the sumptuous and comfortable interiors cool and welcoming in the heat of summer. It will cost more than £70,000 to fit the system, and that is unbudgeted. We hope for your generosity, asking you to give to this cause, little or large – it all helps. The form under can be downloaded as a pdf, printed off and sent to us, with a cheque, or as a bank transfer authorisation. Or you can use the links in the donations section to make a credit card payment, or you can ring 01799 522 to arrange to make regular donations by Direct Debit.